“Presenting the SX-180 boom lift to the industry on the Gold Coast is a landmark event for Genie in Australia. 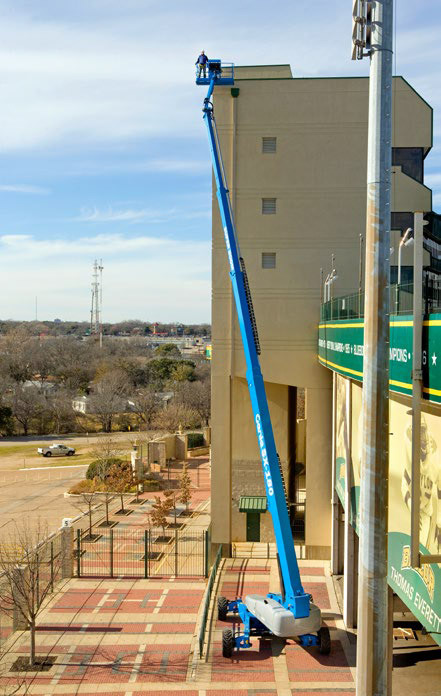 To give this amazing boom lift some perspective, the SX-180 will virtually reach to the top of a twenty storey building. 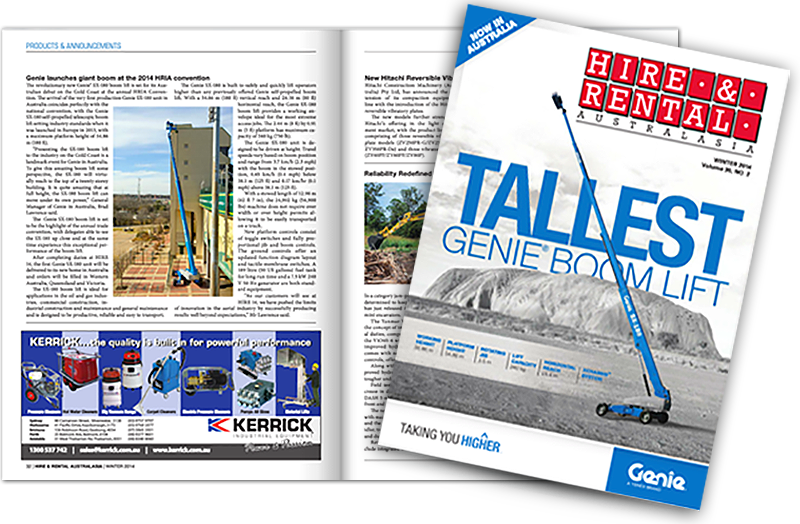 It is quite amazing that at full height, the SX-180 boom lift can move under its own power,” General Manager of Genie in Australia, Brad Lawrence said. The Genie SX-180 boom lift is set to be the highlight of the annual trade convention, with delegates able to see the SX-180 up close and at the same time experience this exceptional performance of the boom lift. After completing duties at HIRE 14, the first Genie SX-180 unit will be delivered to its new home in Australia and orders will be filled in Western Australia, Queensland and Victoria. The SX-180 boom lift is ideal for applications in the oil and gas industries, commercial construction, industrial construction and maintenance and general maintenance and is designed to be productive, reliable and easy to transport. The Genie SX-180 is built to safely and quickly lift operators higher than any previously offered Genie self-propelled boom lift. With a 54.86 m (180 ft) vertical reach and 24.38 m (80 ft) horizontal reach, the Genie SX-180 boom lift provides a working envelope ideal for the most extreme access jobs. The 2.44 m (8 ft) by 0.91 m (3 ft) platform has maximum capacity of 340 kg (750 lb). The Genie SX-180 unit is designed to be driven at height. Travel speeds vary based on boom position and range from 3.7 km/h (2.3 mph) with the boom in the stowed position, 0.65 km/h (0.4 mph) below 38.1 m (125 ft) and 0.17 km/hr (0.1 mph) above 38.1 m (125 ft). With a stowed length of 12.98 m (42 ft 7 in), the 24,902 kg (54,900 lbs) machine does not require over width or over height permits allowing it to be easily transported on a truck. New platform controls consist of toggle switches and fully proportional jib and boom controls. The ground controls offer an updated function diagram layout and tactile membrane switches. A 189 litre (50 US gallons) fuel tank for long run time and a 7.5 kW 240 V 50 Hz generator are both standard equipment. “As our customers will see at HIRE 14, we have pushed the limits of innovation in the aerial industry by successfully producing results well beyond expectations,” Mr Lawrence said.